osteonecrosis. Avascular refers to the loss of blood supply (vasculature). Necrosis is a term for cellular death. Osteo is a prefix for bone. Thus the meaning of both avascular necrosis and osteonecrosis refer to bone death due to loss of blood supply. Commonly affected joints are the shoulder, wrist, hip, knee, and ankle. AVN may result from trauma, medical diseases, alcohol and corticosteroid use, and may be idiopathic (unknown cause). Regenerative Medicine is the field which deals with repair and regeneration of tissue. The use of Biologic therapy, Platelet Rich Plasma (PRP), Tissue Engineering, and Stem Cell Therapy, all are forms of regenerative therapy. The application of PRP and Stem Cell Therapy has been utilized for the treatment of Avascular Necrosis (AVN) / Osteonecrosis. Regenerative therapies have been used for a variety of musculoskeletal problems involving the shoulder, elbow, wrist, spine, hip, knee and ankle. The area surrounding the loss of vasculature, or necrotic region of AVN, may degenerate or collapse. If joint architecture is disrupted then progressive degeneration may occur as a result. This may occur quickly if significant regions of a vasculature has led to an extensive necrotic area. However, frequently the AVN region is stable, and in this cases it may degenerate under a slow curve just as any injured joint would. This is exactly where the field of Regenerative Medicine is evolving. Recognizing and halting the progression of arthritis development will be the key to preventing joint replacement surgery. If the degenerative area can be repaired, or the progression of arthritis halted through the use of regenerative therapies such as Platelet Rich Plasma (PRP) and Stem Cell Therapy the progressive paradigm may be altered. Clinical trials with Allogenic (donor) stem cells are underway for knee osteoarthritis. The Regenerative Medicine field has many emerging strategies to prevent arthritis progression, and as alternatives to joint replacement. AVN has been categorized by grades based on x-ray evaluation. Typically, the more joint destruction that has occurred, is a poor prognosis for conservative management. 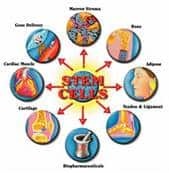 Cases with less joint collapse or destruction have been treated successfully with Stem Cell Therapy in many published reports worldwide. The secondary degenerative arthritis that will likely develop as a consequence of trauma or joint injury, increases joint degeneration risk especially in AVN. This secondary arthritis may be as or more important to long term successful conservative joint management. resulted in many sports careers both famous and not, to be ended early. The most famous example was Bo Jackson the professional football and baseball player, who sustained an injury to his hip and developed AVN. Jackson eventually needed a total hip replacement, ending his football career. Not all cases of AVN in athletes results in significant joint collapse that needs joint replacement. Many athletes have been treated with ankle, knee and hip AVN, and they were kept functioning at levels to allow them to maintain their sports participation. Including running/cutting sports such as Soccer and Tennis. Athletes are turning to Platelet Rich Plasma (PRP) and Stem Cell Therapy as alternative treatments to repair or heal injured segments and prolong their sports career. Conservative treatments that utilize Regenerative Medicine procedures such as Platelet Rich Plasma (PRP) and Stem Cell Therapy may be used as alternative treatments to joint surgery or joint replacement. Ankle AVN is difficult as ankle replacements are not nearly as successful as knee or hip replacements. Ankle fusion is also less than desirable in many cases, making regenerative therapy an attractive alternative in some cases. Wrist AVN may be associated with the scaphoid bone. As with the ankle, wrist fusion may limit mobility and be undesirable in many cases. Shoulder replacement is still difficult compared to hip and knee procedures, yet shoulder replacements are becoming more common. However, a poor outcome with a shoulder replacement may have significant functional limiting effects. 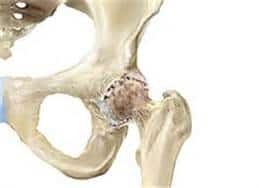 Hip and knee Replacement are more common procedures, yet they are not without risk. Athletes and younger adults especially are more interested in avoiding joint replacement and prospects for regenerative therapies such as Platelet Rich Plasma (PRP) and Stem Cell Therapy as treatment for Avascular Necrosis (AVN) /(osteonecrosis) are exciting alternatives to preserve future treatment options, and as a means of addressing the progression of secondary osteoarthritis.